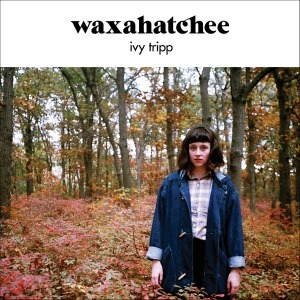 It seems fitting to call Ivy Tripp the third chapter in the Waxahatchee story, as Katie Crutchfield occupies space much closer to Flannery O’Connor than many of her music peers. Moving to Merge Records, Ivy Tripp was recorded at home on Long Island, a long way from Alabama, but roots run deep. Kicking off with the ethereal indie hymn “Breathless,” it speaks to the confidence of Crutchfield as she expands her palatte musically. She retains her innate ability to drop directly into one’s life with the drawn out opening line of “Under A Rock:” “Maybe… you got… your head caught in a ditch last night…” She frames it so that our own baggage adds to the weight of the proceedings, then the band crashes in and it’s pure magic. The windfall of songs captures all the incarnations of her artistic vision, from solo to full electric blowout. What emerges are the details: the drums akimbo stuttering beat that marks the end of “<,” the delicious drone intro to “Bonfire." Deep in the record, “Summer Of Love” appears to be a breezy, tossed off number, but a few listens expose the intricate origami. The soulful piano ballad “Half Moon” sets up closer “Bonfire,” perhaps the best example of her ability to capture a moment, so defined that you can practically taste the smoke and watch the sparks carom off into the night.